Every television series has its fair share of good and bad episodes. 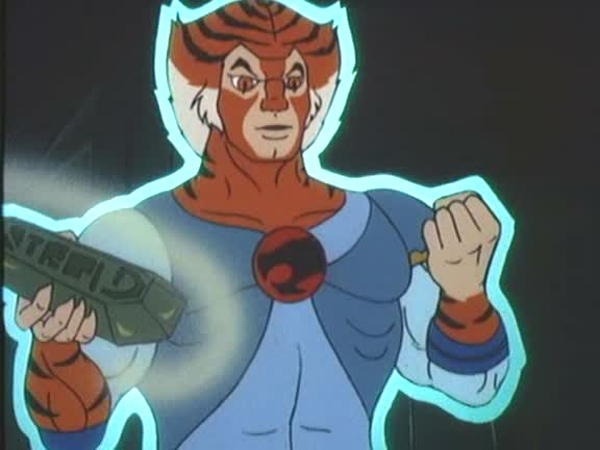 The ThunderCats series also had an undulating quality graph. However, on rare occasions, perhaps due to planetary alignment or some other astronomical phenomenon, all the elements link together in perfect harmony to produce a stellar episode. “Crystal Canyon” is one such episode which gets everything right. 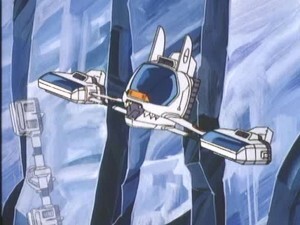 As soon as the episode begins, it quickly shifts into action mode with Lion-O, Tygra, Lynx-O, and Snarf lured into a Lunatak ambush in the Crystal Canyon. 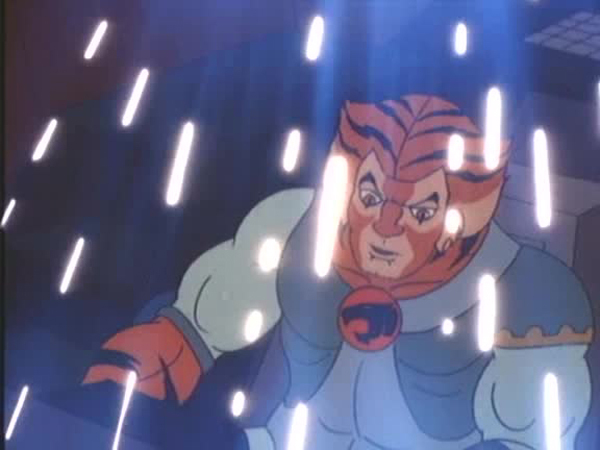 Using Alluro’s mind power and the reflective walls of the canyon, the Lunataks easily overpower the ThunderCats and cause the ThunderStrike to crash. 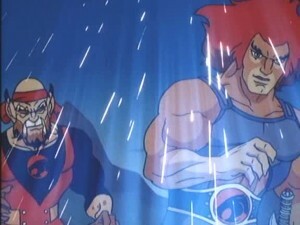 Having achieved their objective, Alluro and Luna leave, while the injured ThunderCats struggle to get back on their feet. 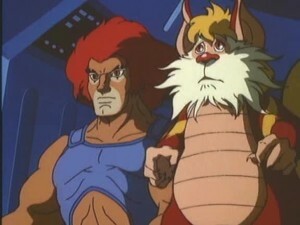 Lynx-O and Tygra both have hurt their leg but the unconscious Lion-O’s condition is much grimmer. 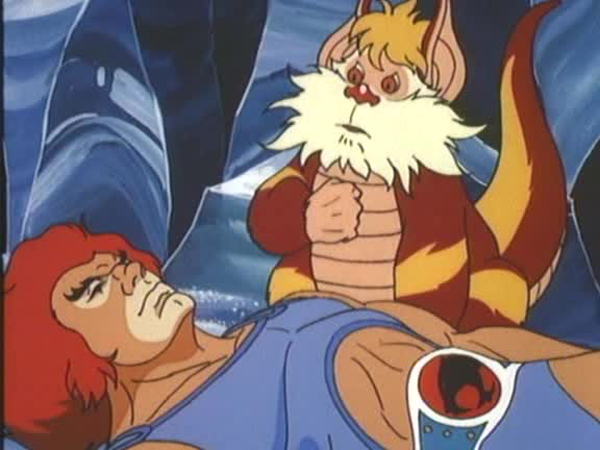 Feeling the waning faint pulse of the Lord of the ThunderCats, Lynx-O suggests that the only way to save Lion-O is the Keystone, a large crystal which is a pure source of energy. 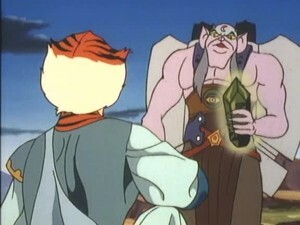 Snarf and Tygra fetch the Keystone from the nearby stalactite-riddled cave and use it to heal all of the ThunderCats’ injuries and to repair the ThunderStrike. 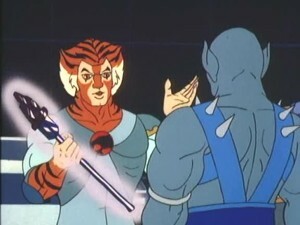 Jaga appears and warns Lion-O about the dangerously addictive nature of the Keystone and how it eventually destroys its possessor. 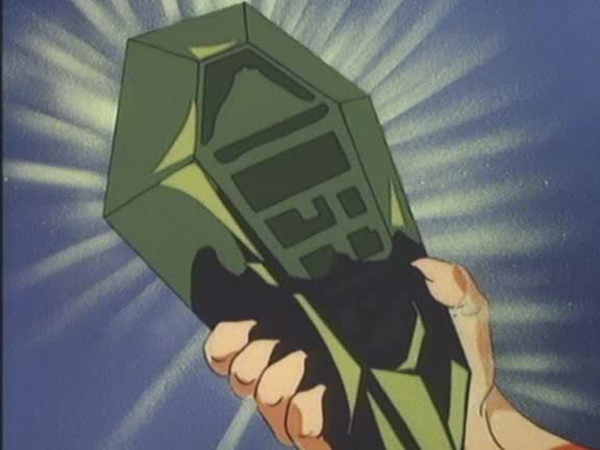 Lion-O tries desperately to warn Tygra but he is already under its influence and refuses to let go of the crystal. Back at the Cats’ Lair, as if suffering from a sugar rush, Tygra is unusually hyperactive and testy. 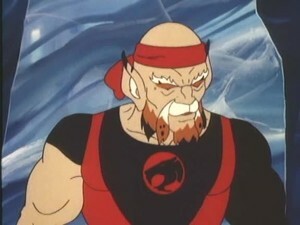 Fearing for the well-being of their friend, Lion-O and Lynx-O beg Tygra to discard the Keystone but to no avail. Two days pass and Tygra’s turbulent mental state has not abated. Having not eaten or slept for two days, his mania begins to manifest physically as dark circles appear under his eyes and his weight greatly decreases. The costume that once used to fit snuggly on his muscular physique now hangs loosely over his emaciated body. Suddenly, Alluro’s attack on the Berbil Village compels the ThunderCats to rush to the aid of their allies. After a short skirmish, Tygra loses the Keystone to Alluro and for a moment, with Lion-O and Lynx-O under his mind control, it appears as if the Lunatak has won. 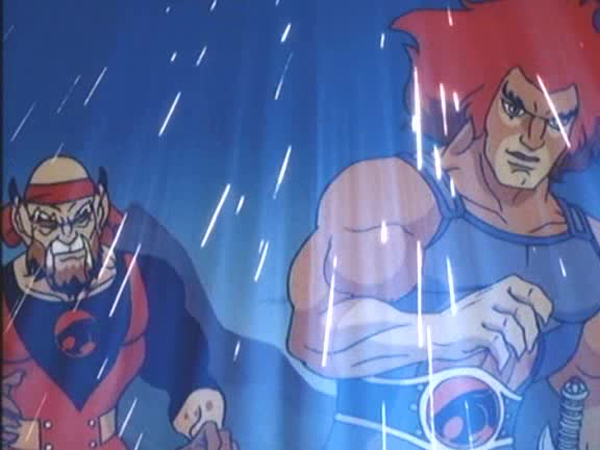 Using every ounce of strength and will power, Lion-O manages to summon the ThunderCats using the Sword of Omens and that breaks the Keystone’s hold on Tygra who then easily defeats Alluro. It is quite evident that like “The Garden of Delights”, this episode also serves as an allegory of the dangers of drug addiction, and in both cases it is Tygra who is the victim. While the former episode grazed lightly on this topic by showing a mostly dazed and drawling Tygra, “Crystal Canyon” paints a very vivid and scary picture of the repercussions of addiction. “Please Alluro, you must give it back. I need it”, says Tygra as he grovels helplessly at the Lunataks feet. To see a once powerful hero reduced to such a miserable state echoes the real life struggles of addicts as they spiral down the canyon path of self-destruction. 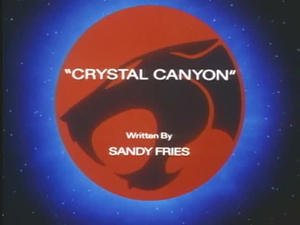 Even though ThunderCats was a cartoon show aimed at young children, Sandy Fries does not approach it as such. The writer pays close attention to maintaining realism in his script. 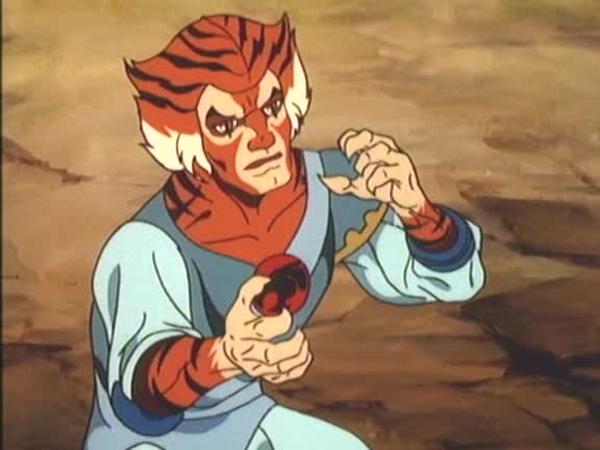 Small details like the injuries sustained by the ThunderCats, a limping Tygra using a branch as a walking stick, and his eventual enslavement to the Keystone, all help to humanize the characters and make them relatable to the audience. 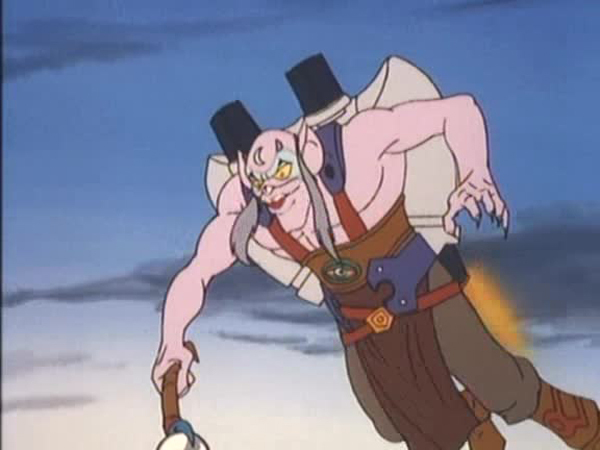 Fries doesn’t cut any corners in his storytelling either, and the absence of the other ThunderCats for the duration of the episode is explained as an expedition to New Thundera. The superb animation by Pacific Animation Corporation (PAC) elevates the episode even further. The Crystal Canyon with its highly reflective walls and Tygra’s cadaverous look are beautifully rendered by the Japanese artists. Perhaps the only flaw in this otherwise impeccable episode is the Sword of Omens miraculously curing days of Tygra’s malnourishment in a matter of seconds by inflating his body to its normal size. However, a small blemish like does not dampen the impact of the wallop packed by this extremely addictive episode. In the beginning of the episode, Snarf reminds Lion-O of his promise to play “Snarf-ball” with him. This may be a Thunderian version of Football. While under the influence of the Keystone, Tygra reveals that he was very shy as a child. Upon their arrival from New Thundera at the end of the episode, the ThunderCats bring a variety of strange gifts including Snarfnip for Snarf, Fredrillium Stone form the Caves of Condus for Lion-O, a Sandy Tailed Hooji for Lynx-O, and a Crystal Scepter from the Ruins of Kaal for Tygra.